Recently praised as “the leading American composer of his generation” by the Los Angeles Times, “one of the most gifted and respected composers of his generation” by the New York Times, and the “master of a uniquely dazzling and mercurial style” by the New Yorker, Andrew is fast becoming one of the most sought after voices in American classical music. Andrew’s work draws on an eclectic mix of sounds and performance practices and is deeply influenced by his training as a pianist and violist as well as his lifelong love of architecture. Andrew is increasingly interested in story-telling in music, and specifically in the ways non-linear, narrative-scrambling techniques from movies and video games might intersect with traditional symphonic forms. His distinctive voice has been cited in the New York Times for its “daring juxtapositions and dazzling colors,” in the Boston Globe for its “staggering imagination,” and in the L.A. Times for its “audacious” spirit. Andrew’s symphonic works have been performed by leading ensembles worldwide, including the Berlin, Los Angeles and New York Philharmonics, the Philadelphia and Minnesota Orchestras, the London, BBC, Saint Louis, Seattle, San Francisco, and Melbourne Symphonies, the Orpheus, Saint Paul, and Los Angeles Chamber Orchestras, the Tonhalle Orchester, the Royal Concertgebouw Orchestra, the Orchestre National de France, the Ensemble Intercontemporain, and many others. Andrew’s music has been championed by some of the classical music’s eminent conductors, including John Adams, Marin Alsop, Gustavo Dudamel, Simon Rattle, and David Robertson. Andrew was recently named Musical America’s 2017 Composer of the Year. He is the recipient of the 2004 Jacob Druckman Prize, the 2005 ASCAP Nissim and Leo Kaplan Prizes, the 2006 Rome Prize, the 2009 Berlin Prize and a 2016 Guggenheim Fellowship. He joined the roster of Young Concert Artists as Composer in Residence in 2008 and held the title “Komponist für Heidelberg” for the 2010-2011 season. Andrew has served as Composer in Residence with the Boston Modern Orchestra Project, Opera Philadelphia, the Los Angeles Chamber Orchestra, and the Utah Symphony. Andrew’s 30-minute string trio The Companion Guide to Rome was named a finalist for the 2012 Pulitzer Prize in Music, and his large-scale orchestral work Play was named one of NPR’s top 50 albums of 2015, nominated for a 2016 Grammy in the Best Contemporary Classical Composition category, recently won the Grawemeyer Award for Music Composition, and was described in the New York Times as a “breathtaking masterpiece,” “a stunning achievement,” and “a revolution in music.” His most recent orchestral work, Sustain, was lauded as “a new American masterpiece” by the New Yorker, ”sublime” by the New York Times, and “a near out-of-body acoustic experience that sounds like, and feels like, the future we want” in the Los Angeles Times. Andrew is a committed educator who enjoys helping people of all ages explore and create music. He has written pieces to be performed by and for the young, and has held educational residencies with various institutions across the country. He recently completed a children’s opera, A Trip to the Moon, that brings together professional musicians with amateur and untrained community members of all ages. 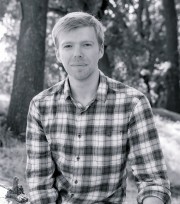 Andrew joined the faculty of the USC Thornton School of Music in 2013, and he is thrilled to serve as the director of the L.A. Phil’s Composer Fellowship Program for high school composers. Andrew recently finished two piano concertos, Suspend, for Emanual Ax, and Split, for Jeffrey Kahane, as well as a percussion concerto, Switch, for Colin Currie. Upcoming projects include collaborations with Jeremy Denk, Jennifer Koh, Johannes Moser, yMusic, Leila Josefowicz, and the San Francisco Symphony.